Ryan Gosling plays the Seaboard GRAND alongside John Legend in La La Land. 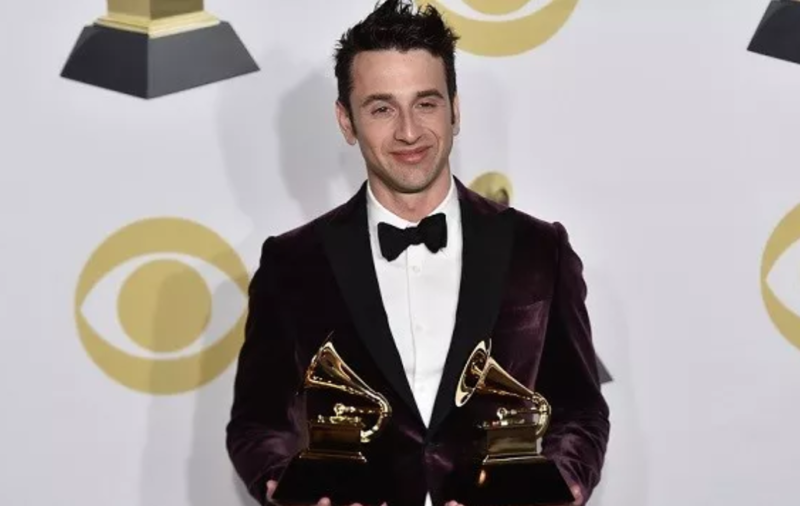 La La Land composer Justin Hurwitz with his two Grammy Awards for Best Composition Soundtrack and Best Score. The acclaimed film La La Land — which features a starring role for the Seaboard GRAND — has two more accolades to add to its impressive collection of awards. The Grammy Award for Best Composition Soundtrack was presented to the film’s composer Justin Hurwitz and executive music producer Marius De Vries, beating competition such as Baby Driver and Guardians Of The Galaxy 2. Justin Hurwitz also won Best Score or Soundtrack For Visual Media over scores to Dunkirk, Game Of Thrones and Arrival. These 2 Grammy Awards add to La La Land's impressive 5 Academy Awards and 7 Golden Globes. It was Marius De Vries who arranged for the Seaboard GRAND Stage to feature in La La Land. The Seaboard makes its debut in one of the most iconic scenes of the film, when Sebastian — the jazz pianist played by Ryan Gosling — accompanies John Legend and his band in the song “Start a Fire". The scene marks Sebastian's transition from an out-of-work pianist to a crowd-pleasing performer in a hit band. Alessia Cara collects her Grammy Award for Best New Artist. Another Grammy-award winner whose music features the Seaboard is Alessia Cara, who won the Best New Artist Grammy. The Canadian pop singer with a soulful voice beyond her 21 years is taking the world by storm. "Four Pink Walls" from Alessia’s debut album Know-It-All was created with the Seaboard RISE. Producer’s Pop & Oak used the expressiveness of the RISE to blend thick orchestral and electronic layers that complement Alessia's Alicia Keys-inspired vocals. In the song, Alessia recalls how she "grew up memorizing all the cracks in the wall" of her bedroom as a child dreaming of “bigger and better” things. She got part of the way towards bigger things when she made music with the Seaboard RISE — and now her Grammy Award confirms that she's well on her way to fully achieving those childhood dreams! 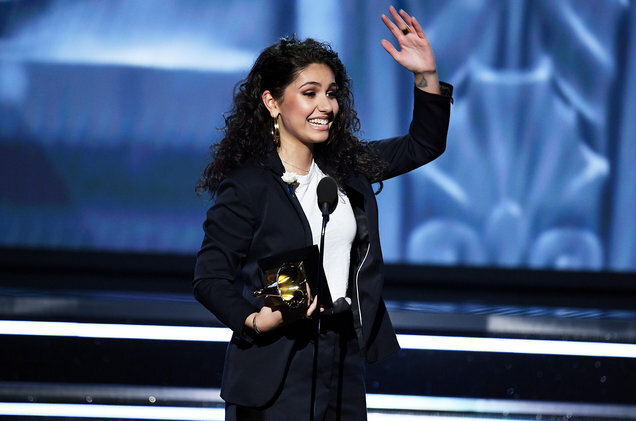 Alessia Cara also performed the powerful suicide awareness song "1-800-273-8255" alongside rapper Logic and Khalid during one of the highlights of the live Grammy Awards ceremony. Learn more about the family of Seaboard instruments contributing to Grammy success.